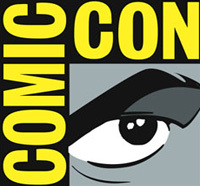 The big show is on the way, and the Wednesday preview night (July 11) and Thursday opening day (July 12) schedule for the San Diego Comic-Con International Wednesday has been released. There's a lot to see and do, so if you're going and want some help narrowing it down, we've put together a list. All we ask is that you pop in to check out Paranormal Pop Culture editor Aaron Sagers, who will be appearing with Zombie Research Society founder Matt Mogk (Everything You Ever Wanted to Know About Zombies), Max Brooks (Zombie Survival Guide, World War Z), Scott Kenemore (Zen of Zombie, Zombie, Ohio), Steven Schlozman, M.D. (Zombie Autopsies, Harvard Medical School), and Bradley Voytek, Ph.D. (University of California, San Francisco). Join them on Thursday, 7-8 p.m. in Room 7 AB for a spirited discussion about the evolution and impact of the modern zombie, and get all your pressing questions answered before it's too late! 666 Park Avenue -- At 666 Park Avenue, anything you desire can be yours...for a price. Lost's Terry O'Quinn and Desperate Housewives' Vanessa Williams headline this scary, seductive drama from Alloy Entertainment as the owners of a Manhattan apartment building who recruit an idealistic young couple to manage the historic site with a dark history. The series also stars Rachael Taylor (Charlie's Angels), Dave Annable (Brothers & Sisters), Robert Buckley (One Tree Hill), Mercedes Masohn (The Finder), Helena Mattsson (Iron Man 2), and Samantha Logan (Law & Order: SVU). Matthew Miller (Chuck), David Wilcox (Fringe), Leslie Morgenstein (The Vampire Diaries), Gina Girolamo (The Secret Circle), and Alex Graves (Fringe) are the executive producers. Based on the book series by Gabriella Pierce and from Bonanza Productions Inc. in association with Alloy Entertainment and Warner Bros. Television, 666 Park Avenue will air Sundays at 10/9c on ABC this fall. Arrow -- From executive producers Greg Berlanti (Green Lantern), Marc Guggenheim (Green Lantern), Andrew Kreisberg (Fringe), and David Nutter (Smallville), hard-hitting action series Arrow reinvents the DC hero. After being marooned for five years on a remote island, billionaire Oliver Queen returns home with a mysterious agenda and a lethal new set of skills that he uses in a war on crime. The series stars Stephen Amell (Private Practice), Colin Donnell (Pan Am), Katie Cassidy (Supernatural), David Ramsey (Dexter), and Willa Holland (The O.C. ), with Susanna Thompson (Dragonfly) and Paul Blackthorne (The River). From Bonanza Productions Inc. in association with Berlanti Productions and Warner Bros. Television, Arrow will air Wednesdays at 8/7c on The CW this fall. The Following -- Golden Globe winner/Emmy nominee Kevin Bacon (Mystic River) and Rome's James Purefoy star in The Following, a cat-and-mouse thriller from Kevin Williamson (The Vampire Diaries), about a diabolical serial killer (Purefoy) and the psychologically scarred ex-FBI agent (Bacon) called in to stop him. The Following also stars Natalie Zea (Justified), Jeananne Goossen (Alcatraz), Shawn Ashmore (X-Men films), Valorie Curry (The Twilight Saga: Breaking Dawn-Part 2), Nico Tortorella (Scream 4), Adan Canto (Amar No Es Querer), and Kyle Catlett (Unforgettable), with Maggie Grace (Lost) recurring. Executive produced by Williamson and Marcos Siega (The Vampire Diaries), The Following is from Bonanza Productions Inc. in association with Outerbanks Entertainment and Warner Bros. Television and will air on Mondays midseason on FOX. Revolution -- What would you do without it all? In Revolution, an epic adventure thriller from Supernatural's Eric Kripke, J. J. Abrams' Bad Robot Productions, and Iron Man's Jon Favreau, a family struggles to reunite in a post-apocalyptic landscape of empty cities, local militias, and heroic freedom fighters where every piece of technology-phones, computers, cars, even lights-has mysteriously blacked out...forever. Revolution stars Billy Burke (Twilight films), Tracy Spiridakos (Being Human), Anna Lise Phillips (Animal Kingdom), Zak Orth (Wet Hot American Summer), Graham Rogers (Memphis Beat), J. D. Pardo (The Twilight Saga: Breaking Dawn-Part 2), Giancarlo Esposito (Breaking Bad), David Lyons (The Cape), Maria Howell (The Vampire Diaries), and Tim Guinee (Iron Man films) and is executive produced by Kripke, Abrams, and Bryan Burk (Fringe). Favreau directed the pilot and will serve as co-executive producer of the series, with Kathy Lingg (Fringe). From Bonanza Productions Inc. in association with Bad Robot Productions, Kripke Enterprises. and Warner Bros. Television, Revolution will air Mondays at 10/9c on NBC this fall.